I'm a big fan of herbs and microgreens. I've mentioned previously on my blog that I start an indoor herb garden when it's winter outdoors so that I can enjoy some greenery and, of course, enjoy the fruits of my labour. With each passing year, I learn more and more ways to use herbs and ways to preserve them. Last year, I tried my hand in drying peppermint and even growing sprouts. I'm a self-proclaimed master of pesto making. For years, I have been making and freezing batches of pesto to use throughout the year, from a variety of different herbs I grow, be it oregano, basil, parsley and even chives. I love the freshness that herbs provide and how they create a multi-dimensional taste and texture to an entree. The problem with herbs is that they can be expensive if you are continually buying them. Also, once they have been cut, their nutrient profile declines substantially the first 24 hours. 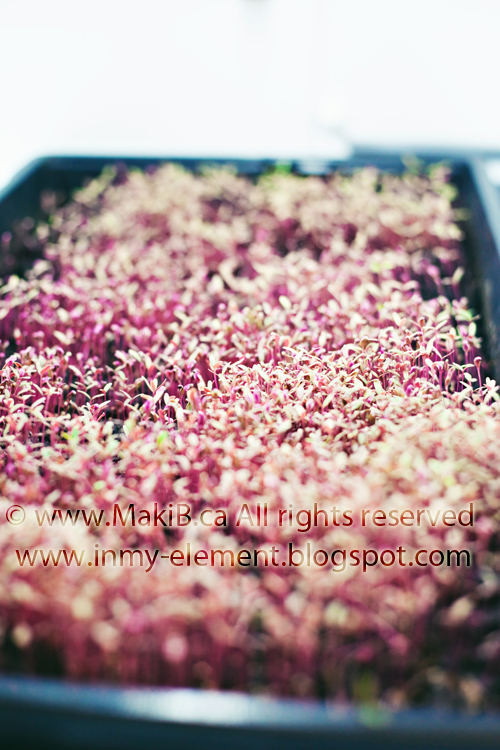 Cut herbs and microgreens do not last long and spoil, which makes it even more costly. On a commercial level, those costs can be substantial. 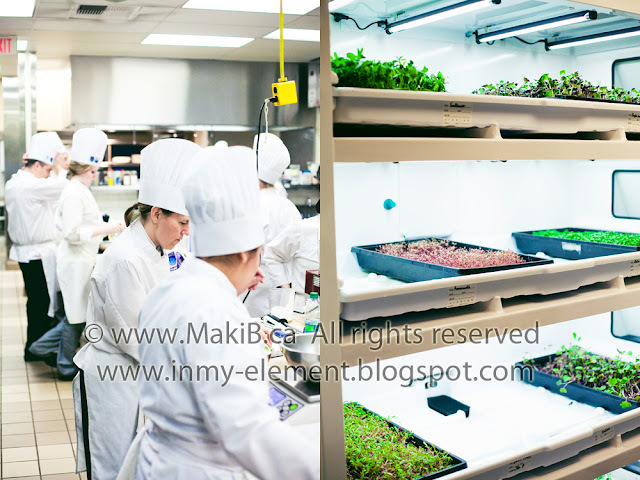 I was intrigued when upon hearing that NAIT culinary students were growing herbs in-house with the use of the Urban Cultivator. The Urban Cultivator gained media attention after it's appearance on Dragon's Den and even Martha Stewart has jumped on the bandwagon. The University of Alberta is the first university among the nation to offer it's students and staff fresh organic herbs and vegetables with the help of the cultivator in it's campus cafeteria. I think it's wonderful that NAIT has installed one for use in the culinary program and Ernest's Dining Room. Students have the opportunity to learn about different variety of herbs and microgreens, how to grow and prepare them in daily meals. A tour provided by NAIT showed full circle use of the Urban Cultivator and how the culinary program is benefiting in terms of cost, sustainability, reducing carbon footprint and eating local. 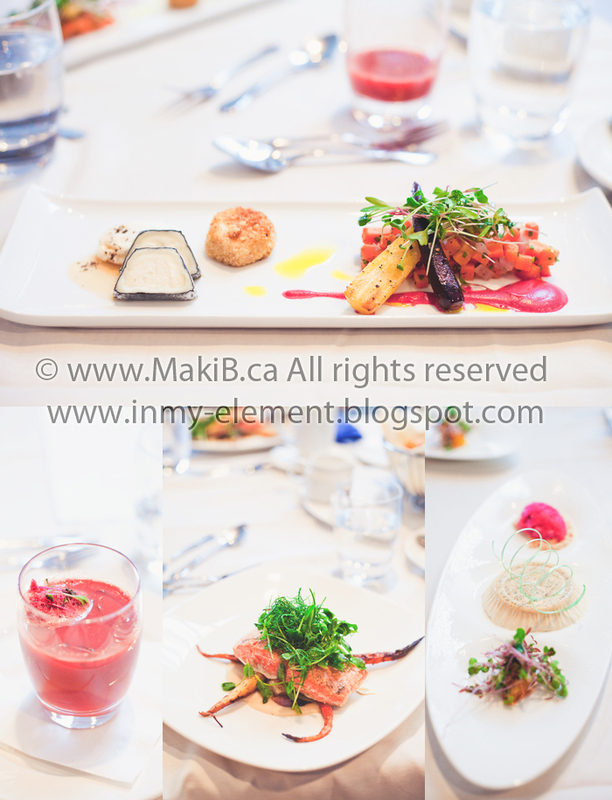 The culinary students provided exemplary usage of the herbs and microgreens throughout the various course offerings. I still have so much to learn about herbs and microgreens and feel I have only touched the surface in my own adventures. I look forward to adding more green thumb experience to my roster with each passing year and, of course, all the while enjoying my peppermint teas and delicious pestos as I go.